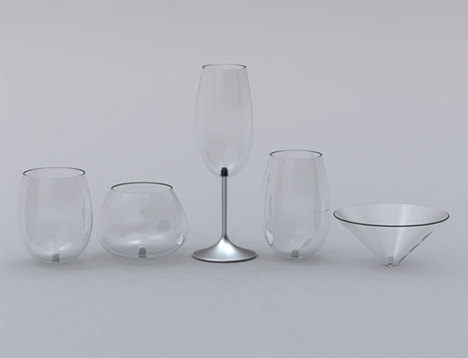 Sherwood Forlee – Just Another Wine Glass? 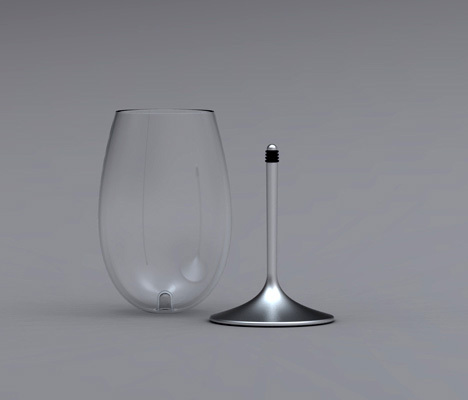 Via Yanko Design I came across this new design idea for wineglasses from Sherwood Forlee. wondering whether I would like to have some. 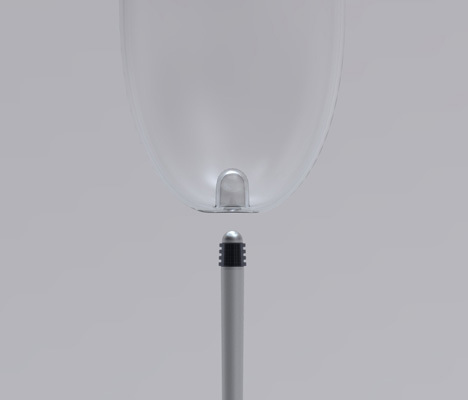 Then it hit me: If the stem is heavy enough and the rubber band strong enough to hold the filled cups it will prevent a lot of wine spillage on your precious table linen. In addition less broken glasses. He is a designer with no design or art education. Instead, he studied fluid dynamics and partial differential equations, and then barely managed to graduate. But graduate he did, and with a high-falutin’ sounding title to boot: “Mechanical and Aerospace Engineer”. Despite this, Sherwood calls himself a designer because it sounds hip and no one likes hanging around a nerd at a party.